The word meek carries the idea of a tamed spirit. The word literally could be interpreted as the taming of a wild horse. The thing I loved most about the Lone Ranger was his horse, Silver. I loved to see Silver go up in the air at the end of the program. He was the perfectly trained companion for the Lone Ranger. Did you know Silver wasn’t always like that? If you didn’t see the first episode of the Lone Ranger, you can’t appreciate Silver. 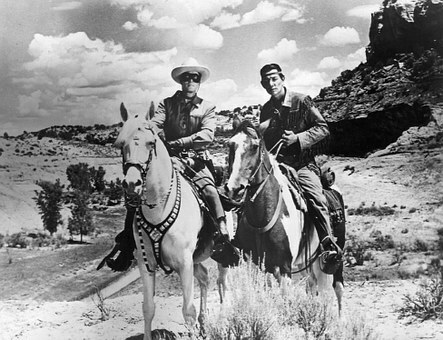 In fact, if you didn’t see the first episode of the Lone Ranger, you can’t appreciate the Lone Ranger. He started off as a ranger among a whole group of rangers. One day his band of rangers got ambushed and he was the lone survivor of the ambush. This is how he came to be known as the “lone” ranger. The Lone Ranger was left for dead, but he alone recovered. When he began to get his strength back, he heard in a canyon below him the sound of a horse, the horse that would come to be known as Silver. He saw the horse and figured that it could provide him a way of escape out of his situation. The only problem was the horse was a wild stallion. The whole first episode was about Silver being brought under the control of the Lone Ranger. Silver would throw him off; the Lone Ranger would get back on, only to be thrown off again. The bottom line is that the Lone Ranger rode Silver until Silver got the message that he was no longer in charge. When the Lone Ranger took over the reins of Silver’s life, the horse could now do things that he would have never been able to do on his own—all because he was controlled by another. God wants to ride you and me so we can do stuff that we could never do on our own. When the story of your life is written about how God rode you, what will He have accomplished? What will have happened in your life because you moved when God said “Giddy-up” and stopped when He said “Whoa”? What will God accomplish in your life because you yielded to His purposes? ✞ We all yield to something or someone. Why not Christ?